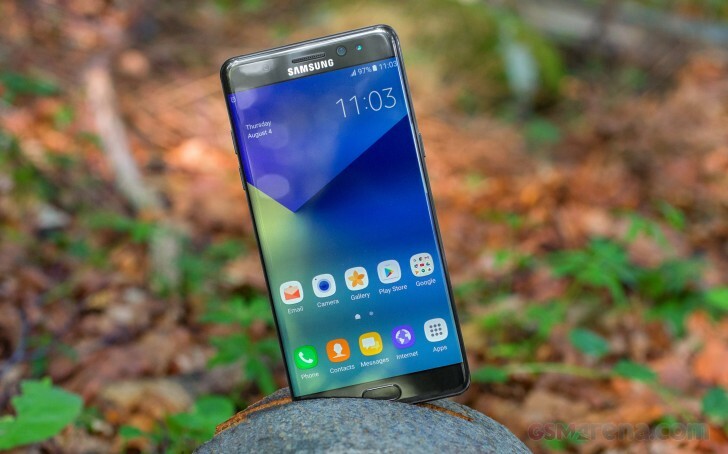 Now that the Galaxy Note FE is official and already available to purchase in South Korea, Samsung released a statement regarding its recycling efforts for the Galaxy Note7 units it collected through the global recalls last year. Those Note7 phones which weren't opened and used have been refurbished after fitting a smaller 3,200 mAh battery and have been reborn as the Note FE. What about the rest of the Note7s? Well, those will be recycled. Samsung says it will recover more than 157 tons of gold, silver, cobalt, and copper through the recycling process, which will start before the end of the month. The company has decided to separate and reuse key components such as the AMOLED displays, memory semiconductors, and camera modules "through eco-friendly processing methods". Some of these components will be used as service materials (in case one of those Note FE units has a problem), and the rest of the parts will be sold. The conglomerate is going to cooperate with "domestic and foreign companies" to extract and recycle the electronic parts inside the Note7. Everything will be done in an eco-friendly manner, to please environmental organizations. In the future, Samsung plans to lead the industry in terms of environmental protection and resource recycling. Does your device even boot or charge anymore? Samsung turned off all outstanding Note7's, as far as I recall. They can't sell them because they explode and they don't want to push the Note FE everywhere because the Note 8 will be out in a month. They have to, this is common practice. Consumer confidence and trust is as important as anything. Believe me, they'd love to bury this.